DineL.A.’s Restaurant Week is underway and if you’re anything like us the foodie inside of you is overwhelmed with excitement! With over 300 restaurants participating in the event by offering prix fixe lunch & dinner menus, it’s the perfect opportunity to treat yourself and finally try that restaurant you’ve been eyeing for months. Participating restaurants stretch the from Santa Monica to Pasadena and everywhere in between, so the options can seem overwhelming, but the menus posted on the dineL.A. website make it easier to narrow down your selections. While the $15-$20 lunch menus and $29-$49 dinner menus might entice you to head right to the biggest names in town, Restaurant Week is also a great way to explore your neighborhood a bit more and try a meal that would have been much more of a splurge any other week of the year. For our Restaurant Week pick we chose the dinner menu at Osteria Mamma in Hollywood, and we were not disappointed. The Sgamberata salad with tiger shrimp and arugula, Linguine alla Carbonara, and the Tiramisu were the stand-out favorites from the night. The mustard dressing on the Sgamberata was the perfect compliment to the peppery arugula, and the Carbonara sauce on the linguine wonderfully rich without being overwhelming. Paired with the included glass of wine and finished off with Tiramisu, the menu is an excellent sample of the delicious fare Osteria Mamma has to offer. 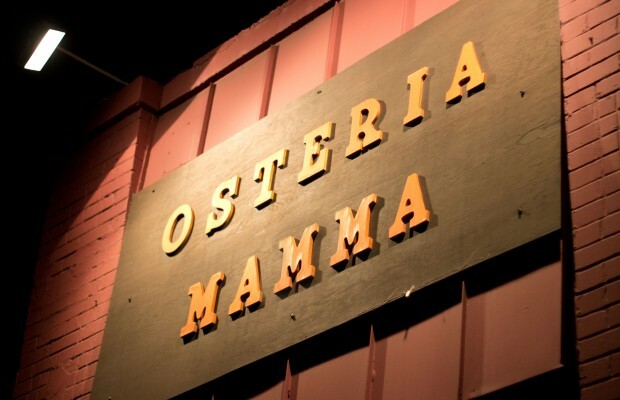 All of the selections on the Restaurant Week menu are available at Osteria Mamma year-round, so don’t miss out on the chance to try them while the deal lasts!